The level of awards in personal injury cases could be capped under legislation going through the Seanad. The aim of the bill is to ensure the cost of insurance cover is reduced for motorists, businesses and farmers. Promoted by Fine Gael Senator Tony Lawlor, the Civil Liability (Capping of General Damages) Bill 2019 is due back in the Seanad for the second stage on Thursday. The Government-appointed Personal Injuries Commission found that award levels for minor injuries in this country are almost five times higher than in the UK. 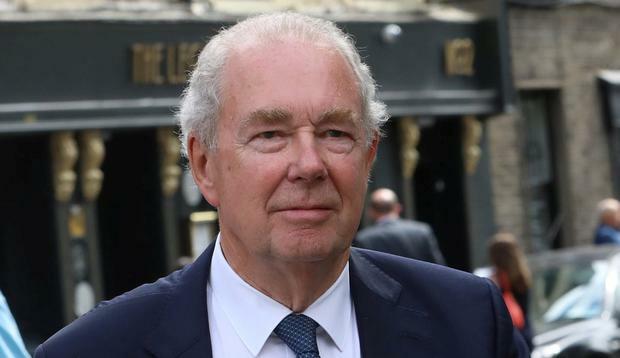 The commission, headed up by former High Court president Mr Justice Nicholas Kearns, has advocated that a council made up of judges should recalibrate awards levels. But the legislation to put a judicial council in place has been delayed. Insurers have argued that the cost of insurance is directly related to high levels of awards made in the courts. Businesses, particularly those in the leisure and child activity sectors, are closing due to soaring premiums, with many unable to get cover. Their insurers blame high and inconsistent injury awards in the courts. Mr Lawlor's bill has the support of business groups Ibec, Isme, the Licensed Vintners Association, the IFA and Insurance Ireland. He said: "This would help reduce the price of insurance for the ordinary working man. "It would allow the minister to bring in regulations and, if passed by the Oireachtas, these would in turn help reduce award levels. "If payouts go down, hopefully premiums will." The bill may have to be referred to Attorney General Séamus Woulfe as some lawyers have suggested it may be unconstitutional.